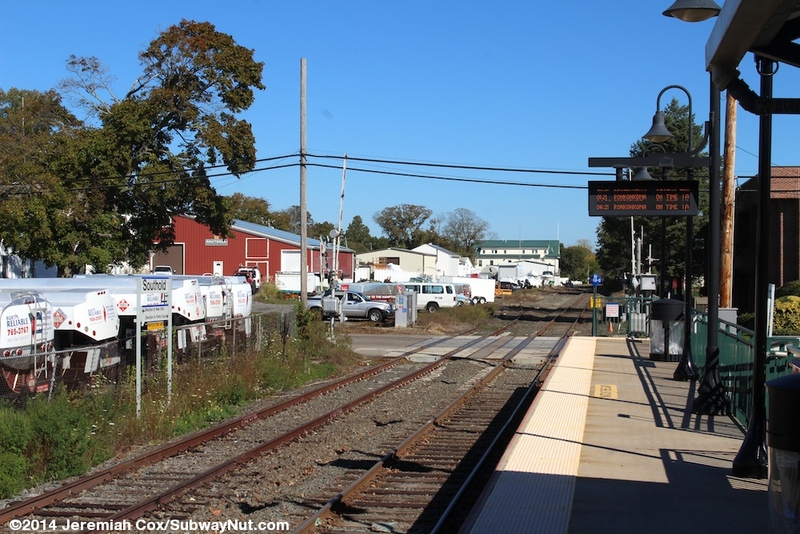 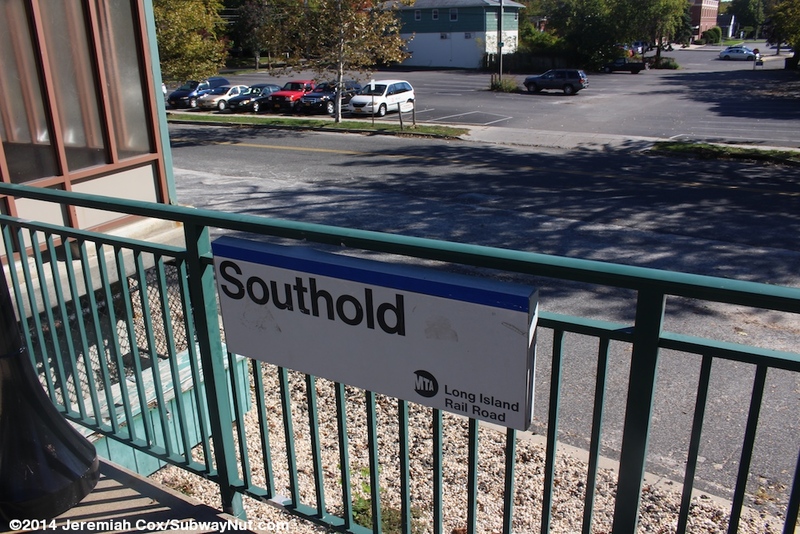 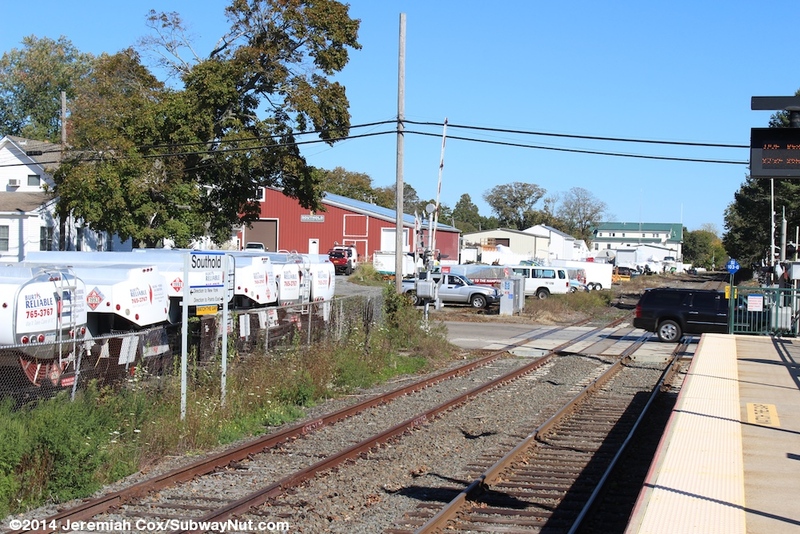 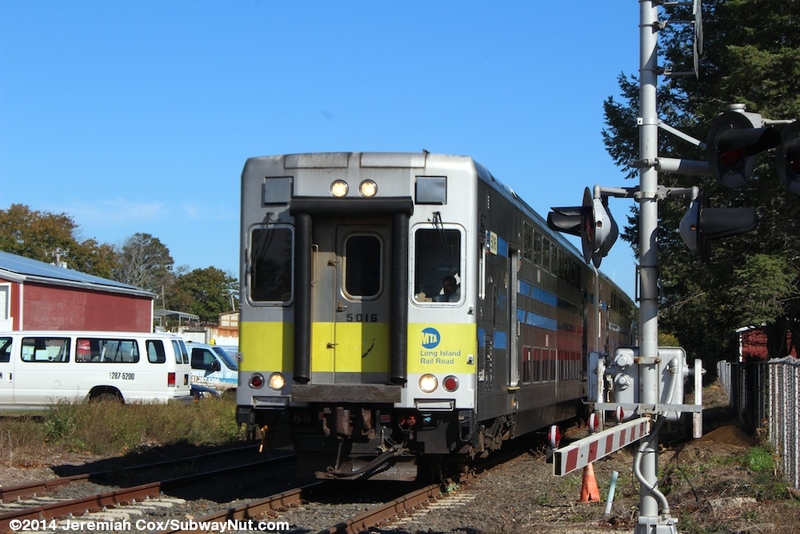 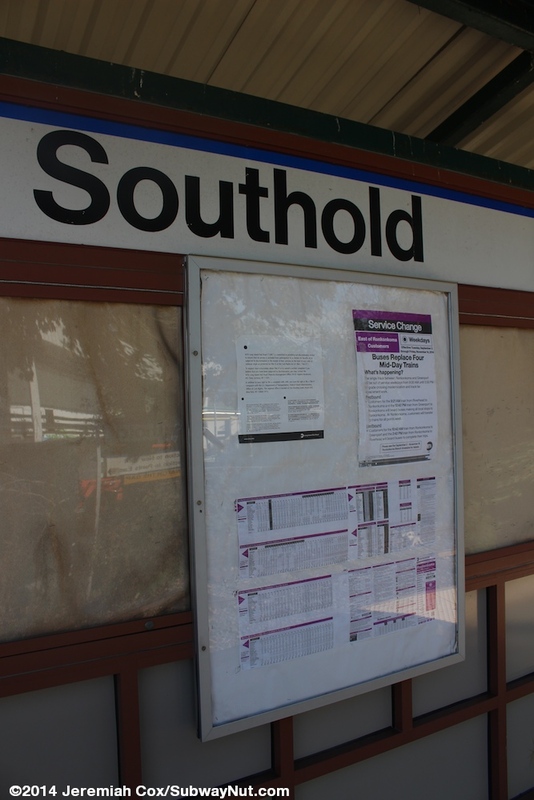 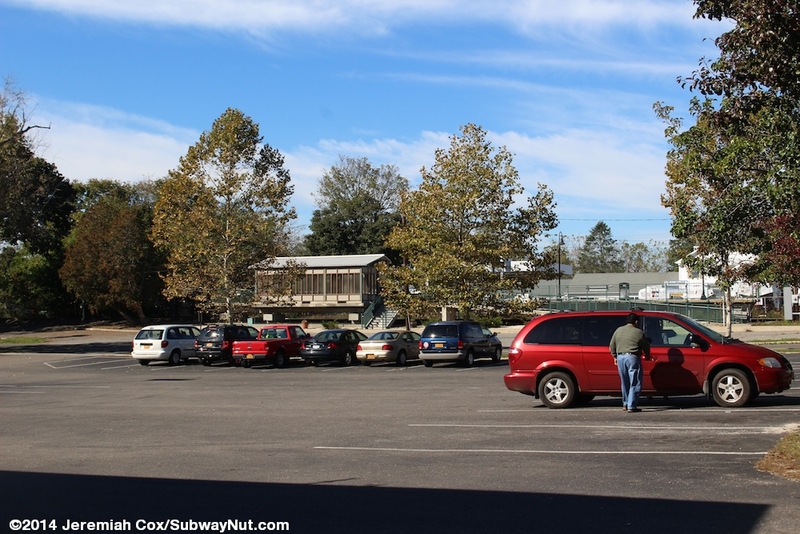 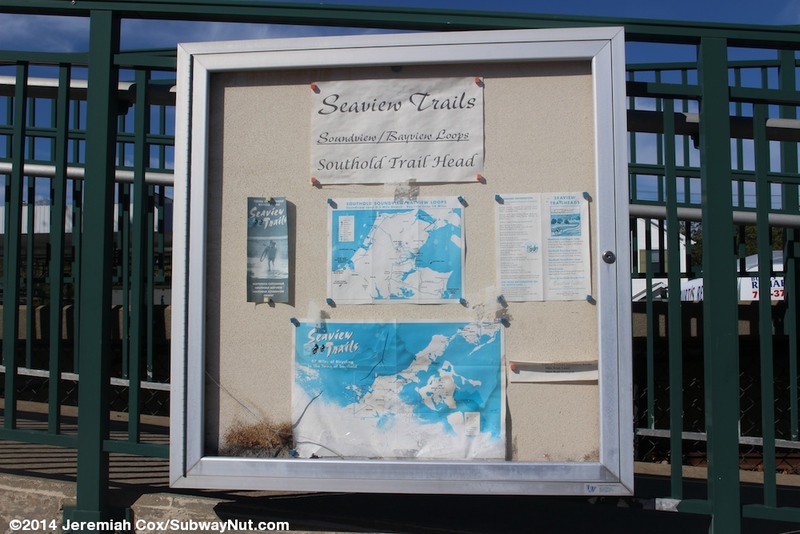 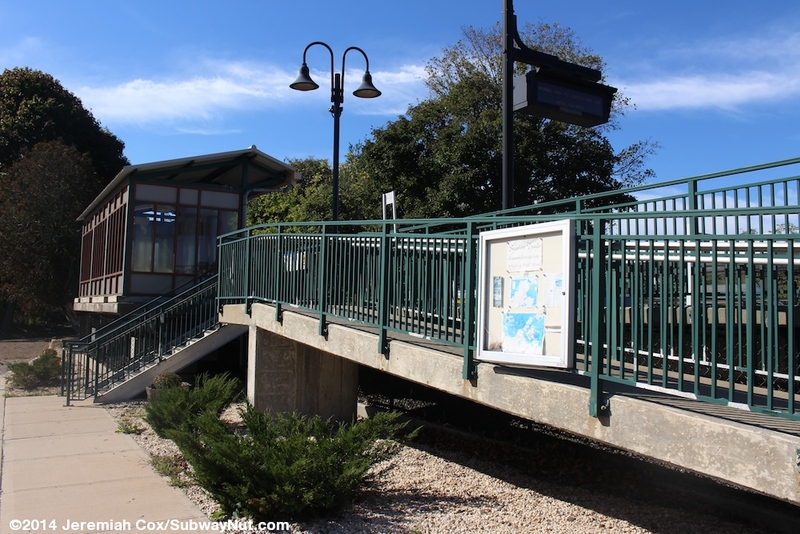 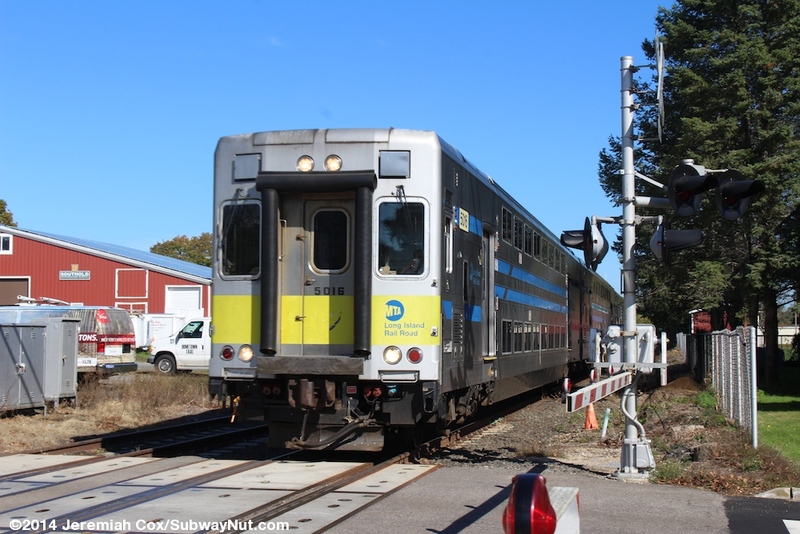 Southold is a simple station stop, the second to last, on the Greenport Line. 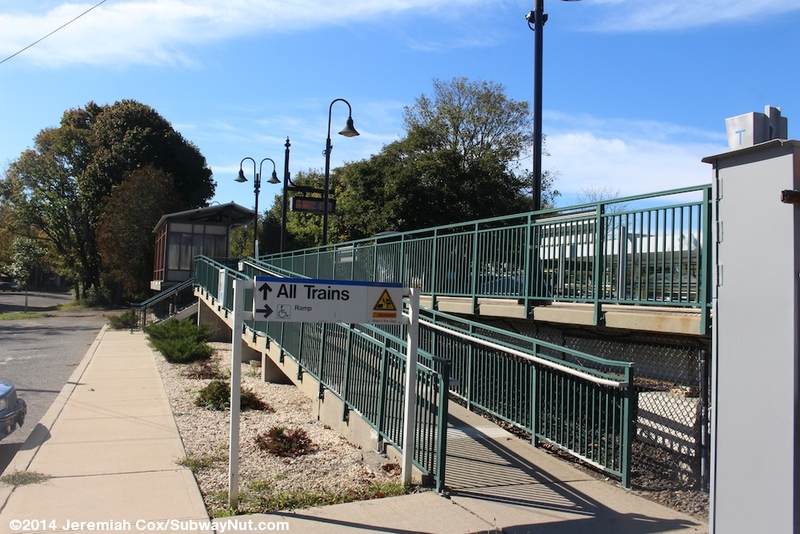 It consists of a single modern high-level platform built in about 1999 that can only fit a car and a half. 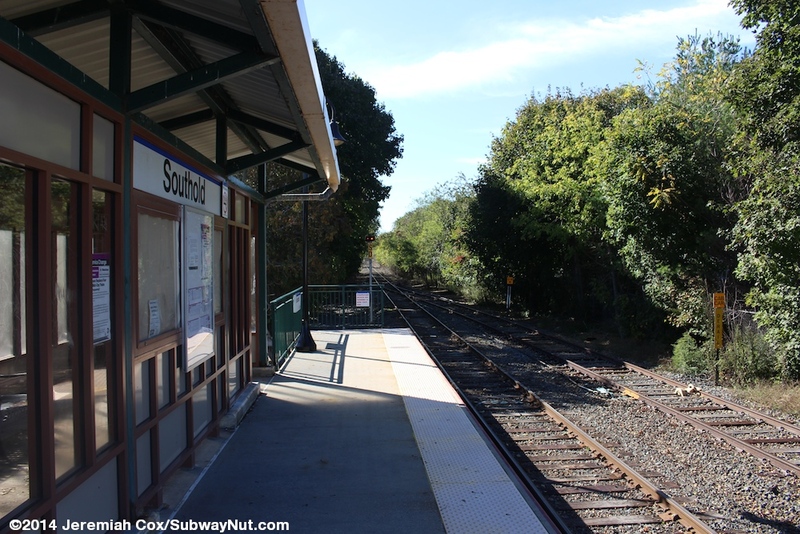 This platform is along the one main line track with a second siding just beyond the platform for industry. 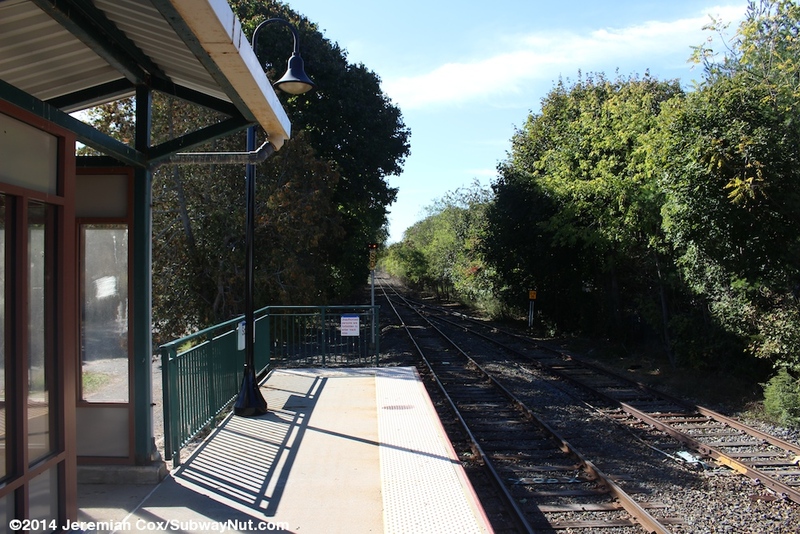 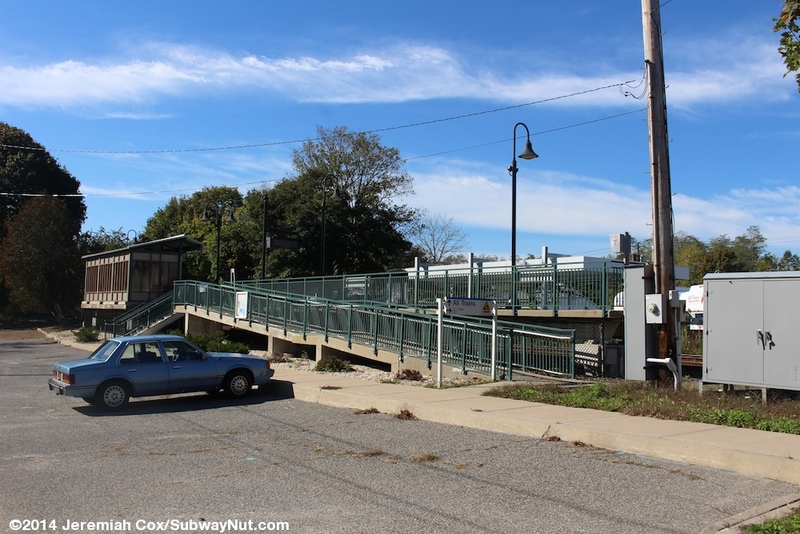 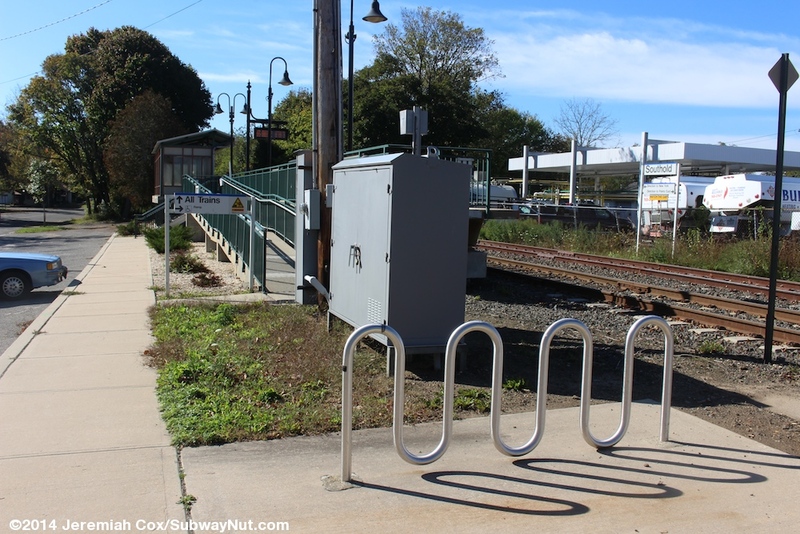 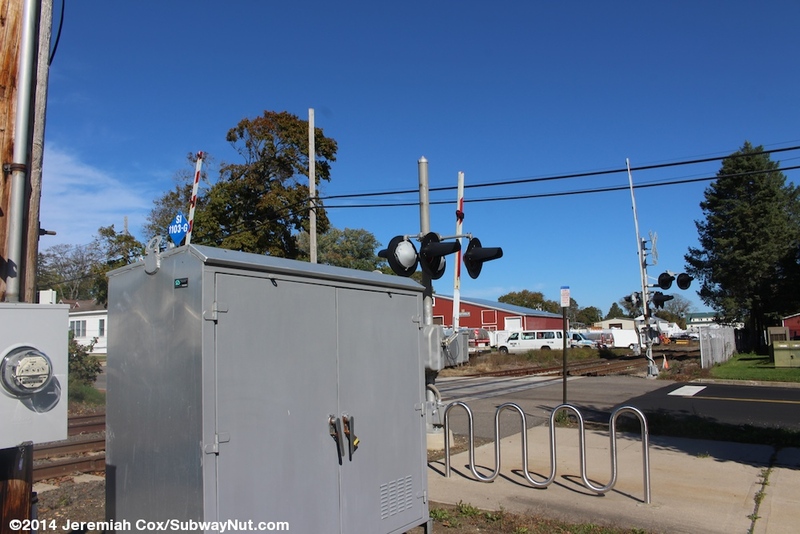 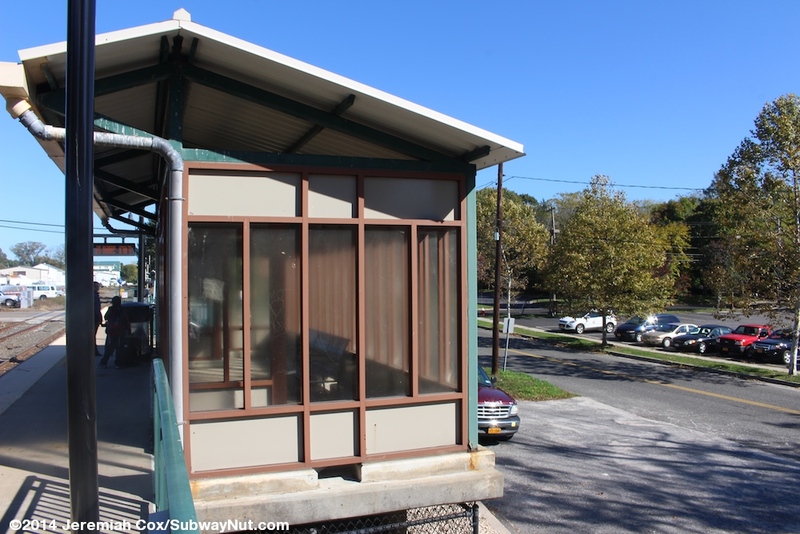 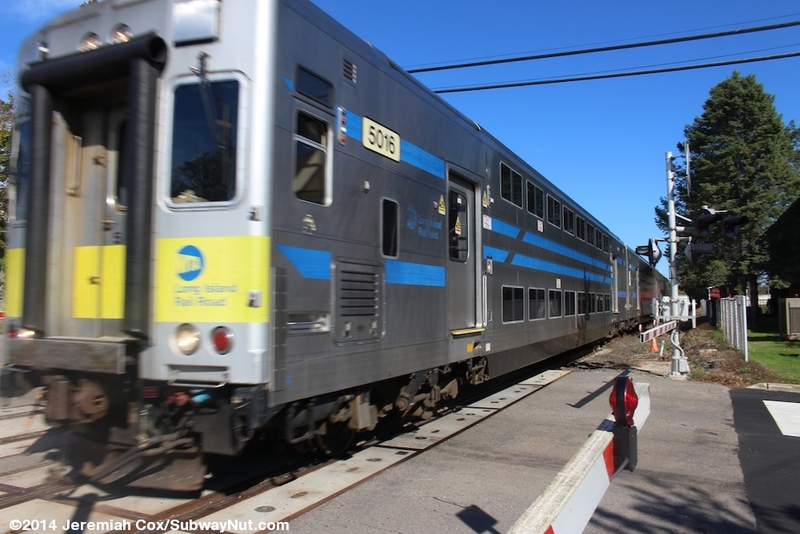 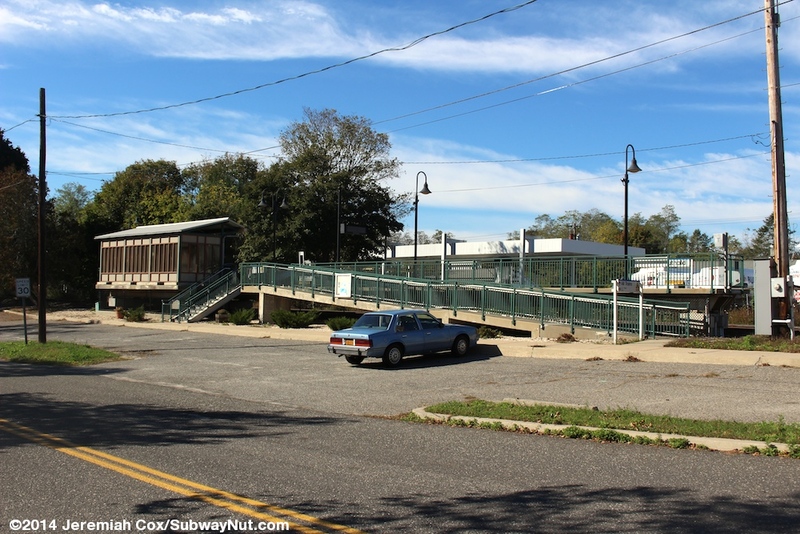 This modern platform is located just west of the grade-crossing of Youngs Avenue in the center of Southold. 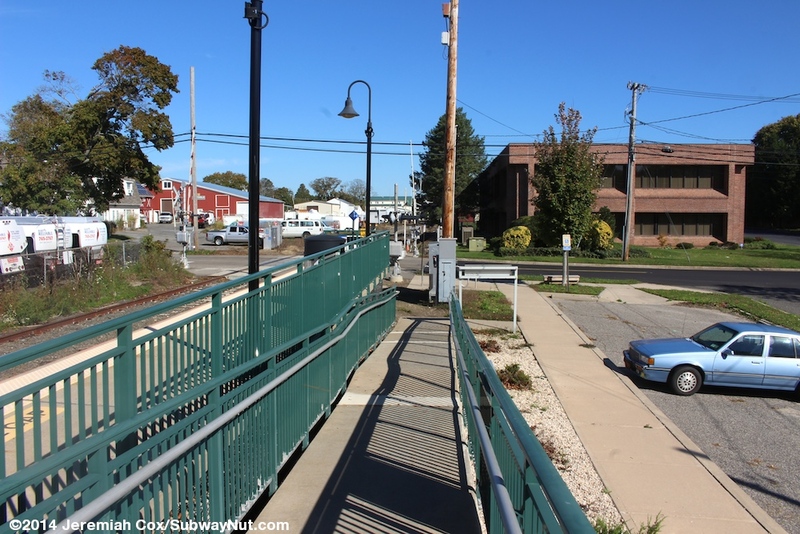 It has a single staircase and a ramp up to it from a small parking lot with maybe 10 parking spaces, all just beyond Traveler Street. 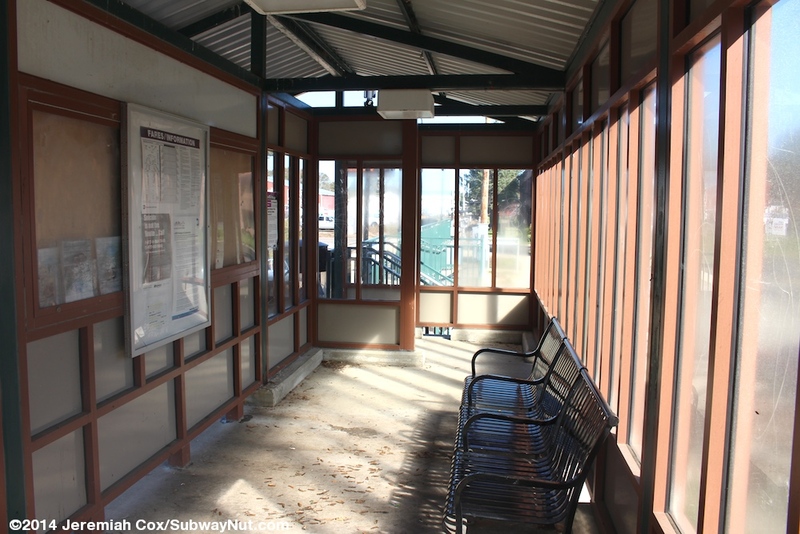 The platform has the usual green railings and a small waiting area enclosed by windscreens with brown and cream framework that have a small canopy extending over a tiny portion of the platform.